I always always find Dann incredibly difficult to shop for, in fact, guys in general are pretty hard to shop for. So my fail-safe is always geek inspiration. Of course I know that not all geeks are guys, but I will admit this guide was inspired by the guys in my life, and a little something, something for the geeky girls. 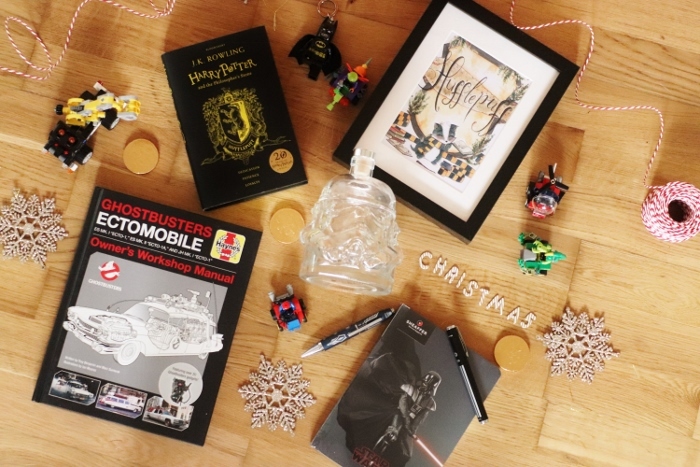 So I’ve pulled together some of my absolute favourite geeky gifts, perfect for any lovable nerd. 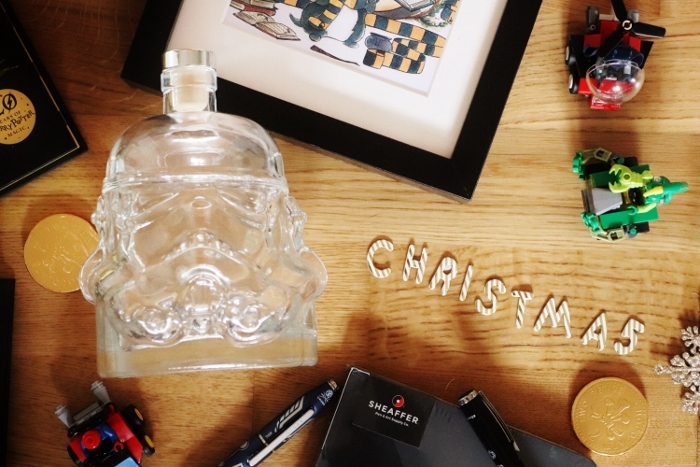 For the more sophisticated geek guy (or gal), this Storm Trooper Whisky Decanter is the perfect gift. And if you’re not a spirit drinker, then twinkle lights would make this into a pretty cute home decoration. Plus it holds 750ml of liquid so that’s a full bottle, in case you wondered. 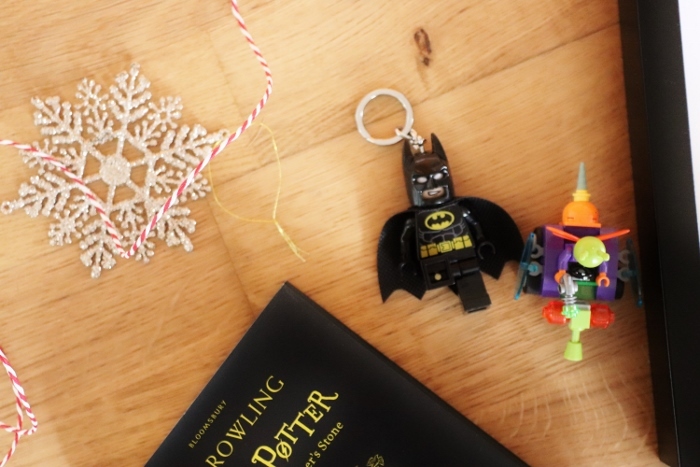 We’re not so secret Lego fans, and big Lego Batman fans, so the perfect stocking filler has to be this torch keyring. Particularly helpful with these dark nights and trying to locate the front door lock. Perfect for any DC fan, and a fun little gift, especially if you’re stuck for present ideas for Secret Santa. For the office geek. Marvel inspired pens are the ideal gift for your studious or workoholic geek. This one is based on Thor, and is a really slick design, with a subtle superhero theme, but still professional enough for the office too. Obviously it isn’t your standard pen, especially with the price, but for a special Christmas, you are certain to make your mark. 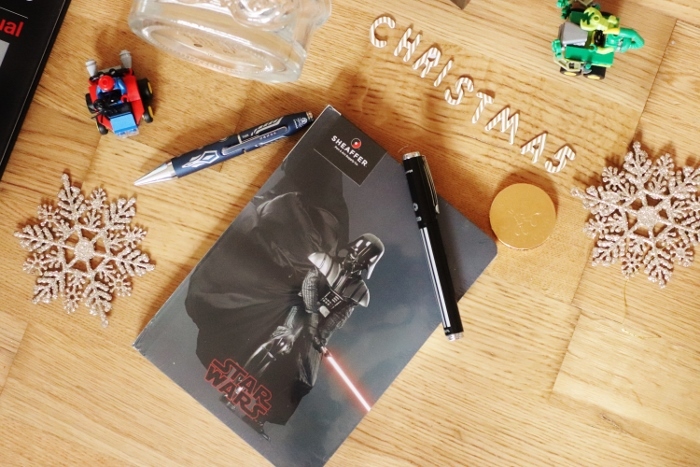 Co-ordination at it’s best, and a great gift for the geeky dad, and again office friendly. The only way this pen could be improved is if it had it’s own light-saber, but let’s be honest, that would probably cause more problems than it would solve! Anything Lego is a little bit geeky isn’t it? But oh so much fun. It’s kind of tradition in our house for me to buy something Lego related for Dann, and I’m certain this will be translated to Henry too as he gets old enough to play with it all properly. I like to get a mix of Lego types, from the very geeky DC and Marvel sets, or Star Wars,or for the true Lego lover, creatives and technics are a great option. We have a bit of a thing for the construction ones like construction vehicles. Because so much geek “stuff” is aimed stereotypically at guys, but I had to find at least one thing for the girls, which came in the form of my favourite…. Harry Potter. I’m in love with this artist and her little Etsy store. Plus she always loads her parcels with a few little extras. Of course she has this design in all the house styles, as well as a whole bunch of Harry Potter themed artwork and stickers. I knew I needed to have this book in my collection the second I saw it. 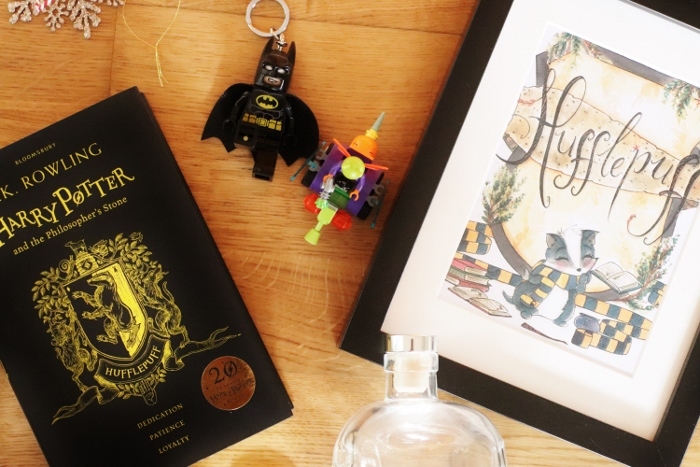 As a self-confessed Hufflepuff, this cover is pretty much perfection – and don’t worry, they’re available in all the houses, and have a different set of covers for the paperbacks. Everyone loves a Haynes manual right? 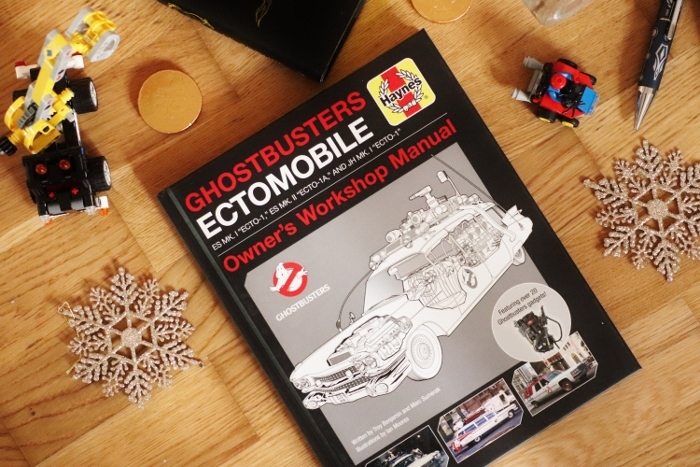 Not just for car lovers, there’s a manual for everything… including the Ghostbusters Ecto-1! Along with a detailed breakdown of Ecto-1’s capabilities and detailed cutaway images that show the car’s souped-up engine and in-built ghost-trapping equipment, the book also focuses on the Ghostbusters’ portable tools of the trade, including proton packs, ghost traps and P.K.E meters. Featuring commentary from the film’s ghostbusting team – Ray Stantz, Peter Venkman, Egon Spengler and Winston Zeddmore – the Ghostbusters Manual is the ultimate guide to the Ghostbusters iconic car and ghost trapping equipmen. A bit geeky, a bit nerdy and definitely a fun and unique gift. *sample product provided in exchange for inclusion within this blog post guide – all opinions are my own. Prices correct on day on writing. "Christmas Gifts for a toddler"
"Christmas Gifts for a Photography Fiend"